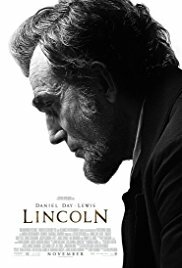 I thought it was a very strong political historical film in which Daniel Day-Lewis presents a clever piece of acting. Admittedly, American history is not my dada, but I have watched it with admiration. The whole really radiated the atmosphere of that period. There were sometimes some dry, boring dialogues … but that’s politics. In my opinion this film should have won the Oscar instead of “Argo“.